A credit card can be an asset to your lifestyle, but if not handled carefully it can become a liability, especially if you find it so convenient and easy to use that you lose control of your spending. This short guide will help you understand how you can use your credit card so it works to your advantage, not against you. 1. Offer free use of funds, provided you always pay your balance in full, on time. 2. Be more convenient to carry than cash. 3. Help you establish a good credit history. 4. Provide a convenient payment method for purchases made on the Internet and over the telephone. 5. Give you incentives, such as reward points, that you can redeem. 1. Cost much more than other forms of credit, such as a line of credit or a personal loan, if you don't pay on time. 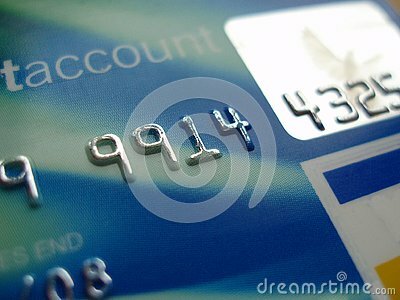 A credit card is more then a simple piece of plastic, it is first and foremost a flexible payment tool accepted at 30 million locations worldwide, and if the card balance is paid off every month, then no interest is charged on purchases made so, essentially, short-term credit is granted without the consumer paying any interest. However before you decide to use your credit card, carefully consider all of the factors and weigh them against your personal needs and values. What about credit card control? Handling money and credit cards wisely is a talent few of us are born with. But it is a skill that can easily be learned. The place to start is with budgeting. It's simply an organized way of managing your finances, basically, it gives you an overall picture of where your money is coming from, when it's coming in and how it's being spent. A budget should be flexible, changing according to your circumstances. a wedding or a holiday. When you take control of your financial affairs, you're more confident about the future. A budget is key to financial control. It gives you a "Polaroid picture" of where you stand financially and where you're heading. Use a low or no-fee credit card and save on the annual fee that some companies charge. Only charge to your credit cards what you can pay off in full when the bill comes. You might not use your credit card as much if you start believing that you have to pay off your entire balance at the end of each month. A good way to help to reduce what you pay on your credit card is to search for a card with a lower interest rate. Many financial institutions now offer at least one of these types of cards. Remember that when you take a cash advance on your credit card, the interest starts accumulating immediately and not on the due date of your credit card bill. Also keep in mind that if you make only the minimum monthly repayment you may never get out of debt. The main advantage of having a credit card is convenience but if you're not good at budgeting and managing your finances, the over-use of credit cards can leave you with a debt that's very difficult to pay back. Why do card companies target college students?